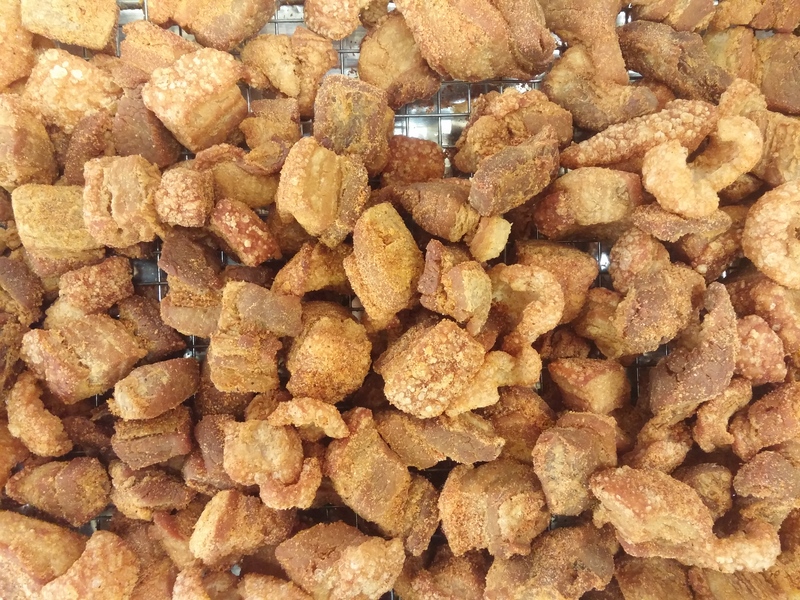 Q: Can these Cracklins be heated in a fry pan and mixed in scrambled eggs or mashed potatoes? A: These cracklins are cooked "all the way through", meaning that they are fried until hard and crunchy. Due to their hardness, I would not recommend mixing these in with scrambled eggs or mashed potatoes - it might present a choking hazard to anyone expecting a smooth bite of eggs or mashed potatoes.